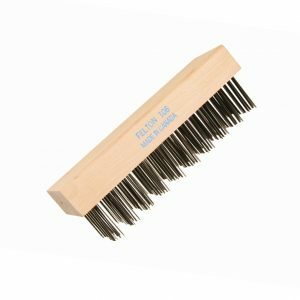 Large and coarse flat wire bristles scrape away debris and will not break off with vigorous cleaning. 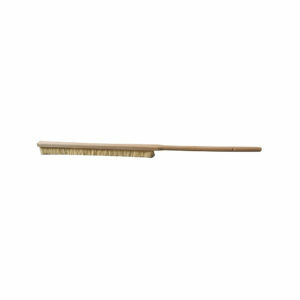 Compact profile for cleaning in tighter spaces and a 30″ handle to give extra reach. 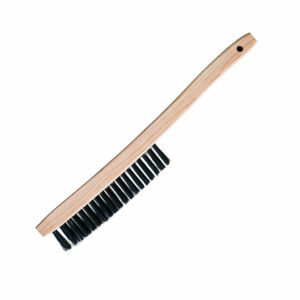 Brushes are easily changed out when worn, eliminating the cost of replacing the entire brush. 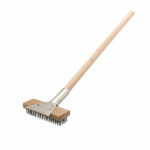 Made in Canada with North American flat steel wires and a Canadian hardwood handle. 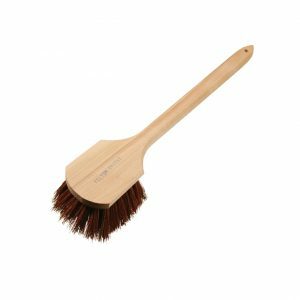 Felton’s large broiler brush with heavy-duty scraper that attaches firmly to block and handle. Comes in all wire types for all surfaces. 27″ Handle allows for reaching across and into overs. 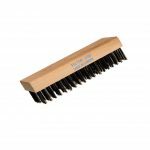 The ultimate oven and grill brush with heavy-duty horizontal scraper provides quick and extremely aggressive removal of grease and burnt-on deposits. 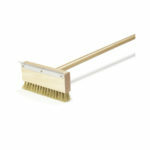 Compact profile for cleaning in tight and narrow spaces. Ideal for restaurants, steakhouses, and grilling experts. The 30″ handle allows for extra reach into deep ovens and grills. Made in Canada with North American flat steel wire and a Canadian hardwood handle.